Home what is KFG? What Exactly is Keratinocyte Growth Factor (KGF)? Can KGF really slow down balding and maintain healthy hair growth? The Keratinocyte Growth Factor (KGF), also known as FGF7, is a growth factor present in the epithelialization-phase of wound healing. In this phase, keratinocytes are covering the wound, forming the epithelium. KGF is a small signalling molecule that binds to fibroblast growth factor receptor 2b (FGFR2b). For signalling to occur, a dimer is required between two FGF:FGFR complexes that is linked together by a molecule of heparin. There are 23 known FGFs, and 4 FGF receptors. FGF:FGFR binding is complex and regulated by a variety of mechanisms in a tissue specific manner. FGF10 is also known as "Keratinocyte growth factor 2". KGF is a member of the fibroblast growth factor family and has been found to stimulate hair growth. Our cells respond to KGF because they have receptors on the cell membrane that recognise this growth factor, which is normally present in our body but which declines as we age. The binding of the growth factor to the receptor initiates a cascade of molecular events that leads to cell division. Does HR23+ Serum contain KGF? 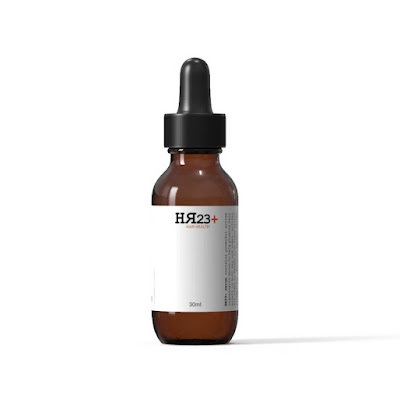 HR23+ Scalp Therapy Treatment Serum contains KFG, alongside 42 other potent ingredients including Saw Palmetto (a known DHT blocker). The powerful blend of KFG can help strengthen and add density to the hair. 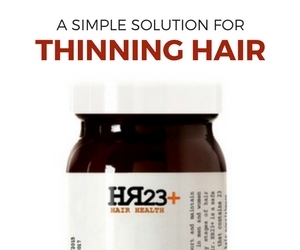 Although there are other anti-hair loss products on the market that do contain KFG, HR23+ Serum is the most advanced and potentially most effective, with the specific blend of other ingredients in this formula. led by Chrysin and Grape Seed Proanthocyanidins. HR23+ KFG HR23+ Serum Keratinocyte Growth Factor Keratinocyte Growth Factor (KGF) KFG KFG hair growth KFG products KFG serum what is KFG?